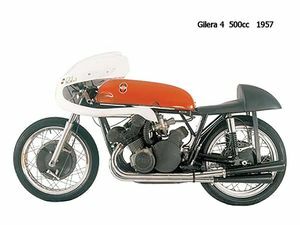 Gilera is an Italian motorcycle manufacturer founded in Arcore in 1909 by Giuseppe Gilera. 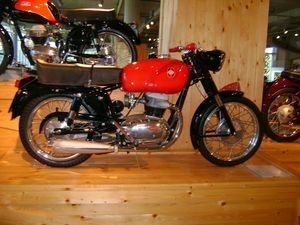 In 1969 the company was purchased by the Piaggio & Co. SpA -- which now holds six marques and is the world's fourth largest motorcycle manufacturer. 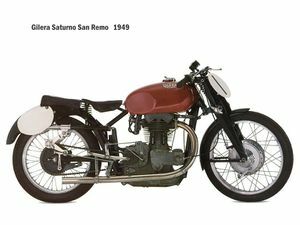 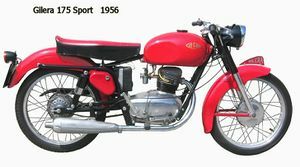 The sensation of the 1953 Milan show, the 300 twin was a virtually doubled-up version of the well developed 150cc single. 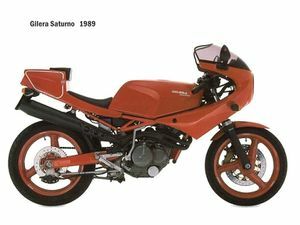 Although lacking in power the B300 was exceptionally smooth, easy to start and very flexible. 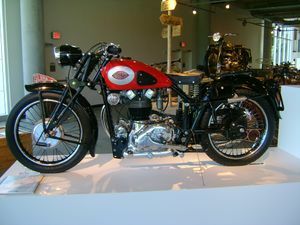 This was a luxury tourer from a company that mainly produced inexpensive lightweights that sold in the US under the Sears and Roebuck label. 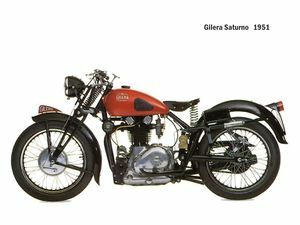 This page was last edited on 27 November 2010, at 22:05.